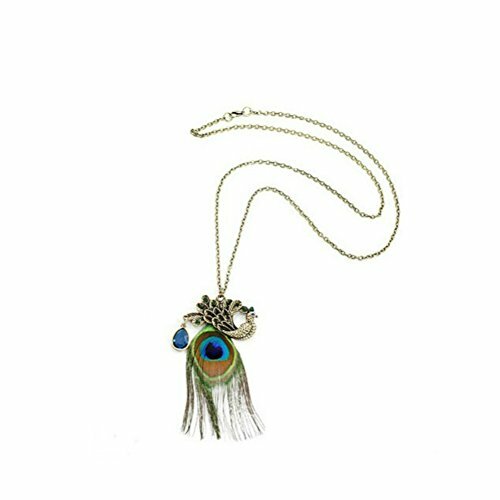 Indiana peacock feather Pendant Necklace for women and girls This Feather Pendant Necklace is decorated with Peacock Feather and suitable for women &girls. It is used for wedding, party, evening and casual. We designed it as the Indiana princess jewelry accessories and you will be decorated elegant and charming. It is cheap but the quality is great for this price. This Indiana princess dangle earrings is worth for you. Remarks The color may vary minor by monitor because of the photograph. Please excuse 1-2 cm errors because of hand made item. Brand New. If you want to Refund, Please keep the drops and my products new. Two conditions that you cannot refund are listed as follow: 1. Product is used or damaged, 2. The package or drop of my product is damaged. 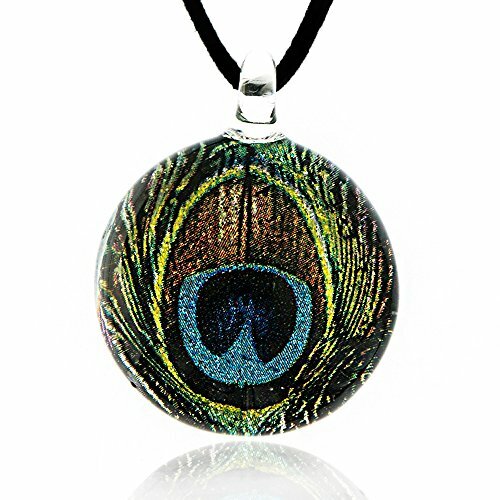 Features:Fine or Fashion:Fashion.Item Type:Necklaces.Pendant Size:about 4.5*2.5CM.Style:Trendy.Necklace Type:Pendant Necklaces.Gender:Women.Material:Acrylic.Chain Type:Link Chain.Length:about 70cm.Metals Type:Copper Alloy.Shape\pattern:Animal.Package included:1 x necklace. 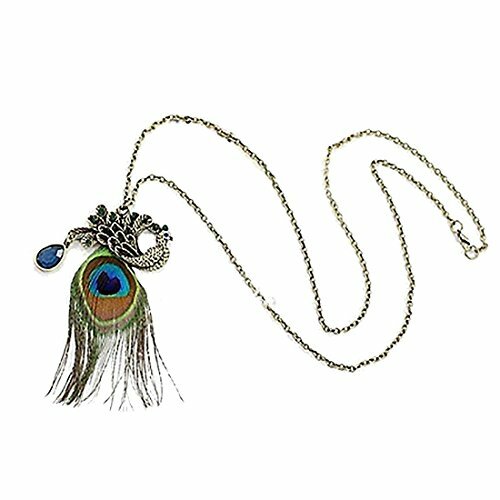 Necklace is made of Natural Peacock Feather, Alloy chain. Keep color and not fade. Approx Size:free size.You can freely adjust the length of the necklace. This necklace can be used for many occasions: wedding,Opening ceremony, travel remembrance, birthday, awards memorial, business gifts, advertising promotions, anniversary celebrations, fairs, festivals. Remarks:The color may vary minor by monitor because of the photograph. If you want to Refund, Please keep the drops and my products new. two conditions that you cannot refund are listed as follow: 1. Product is used and damaged, 2. The drop of my product is damaged. 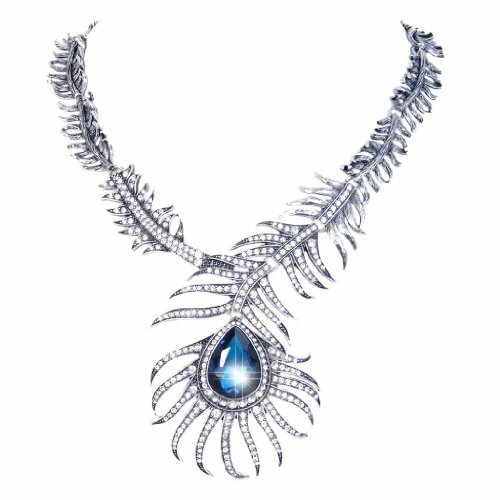 We strongly recommend you this fantastic necklace for the original design and exquisite details. 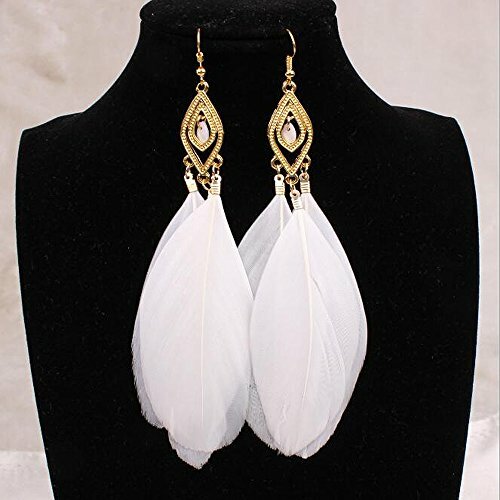 Indiana peacock feather dangle earring for women and girls This Feather earrings is decorated with Peacock Feather and suitable for women &girls. It is used for wedding, party, evening and casual. We designed it as the Indiana princess jewelry accessories and you will be decorated elegant and charming. It is cheap but the quality is great for this price. This Indiana princess dangle earrings is worth for you. Remarks The color may vary minor by monitor because of the photograph. Please excuse 1-2 cm errors because of hand made item. Brand New. If you want to Refund, Please keep the drops and my products new. Two conditions that you cannot refund are listed as follow: 1. Product is used or damaged, 2. The package or drop of my product is damaged. 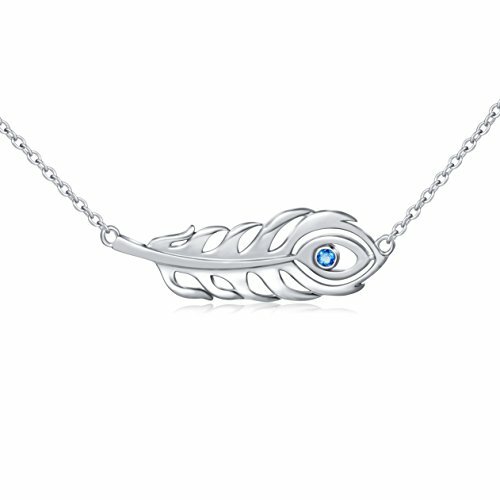 Looking for more Peacock Feather Necklace similar ideas? Try to explore these searches: Rose Grommet, Woodgrain Laminate, and Electro Luminescent Stopwatch. 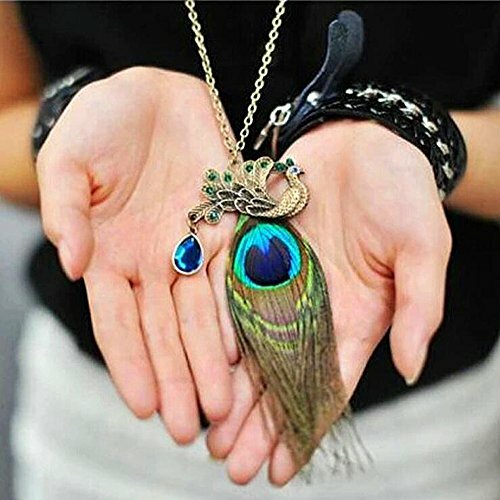 Look at latest related video about Peacock Feather Necklace. Shopwizion.com is the smartest way for online shopping: compare prices of leading online shops for best deals around the web. 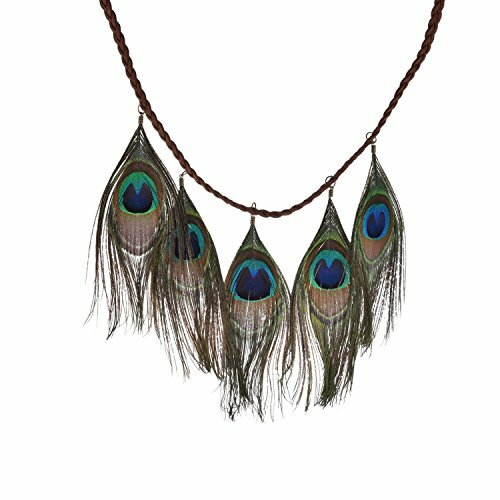 Don't miss TOP Peacock Feather Necklace deals, updated daily.